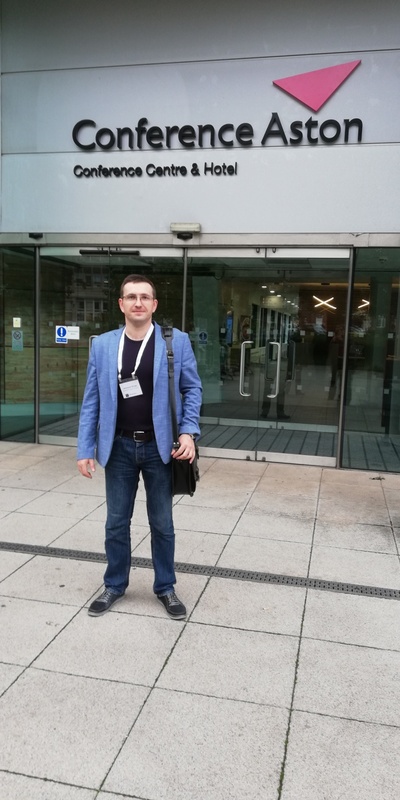 The member of the Physics Department, PhD in Physics and Mathematics, Associate Professor Aleksandr Vasilievich Shulga took part in the international conference Рhoton 2018. 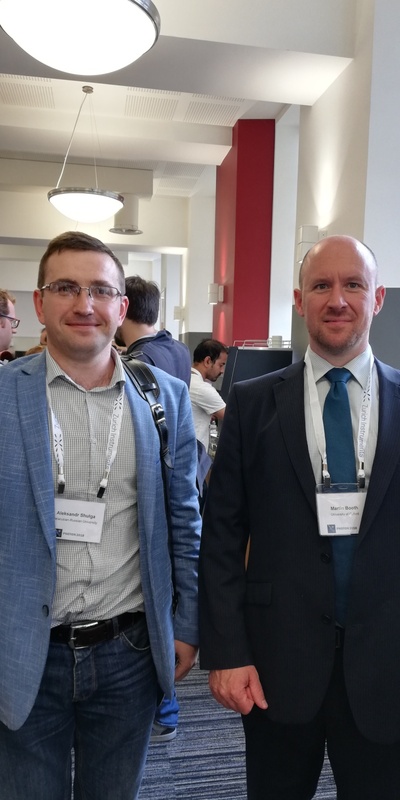 The conference was held by the Institute of Physics at Aston University, Birmingham, UK from 3-6 September, 2018. The event included a plenary session and 10 workshops. At the workshops, topical issues of laser optics, metamaterials and plasmonics, nanophotonics, nonlinear photonics, high resolution microscopy, optomechanics, attosecond optics, optical quantum metrology, quantum optics, waveguides and fiber optic sensors, etc. were discussed. A.V. Shulga made a report ‘Intracavity laser spectroscopy with controlled introduced optical losses for the study of waveguiding structures’ related to the topic of the research conducted at the Department.